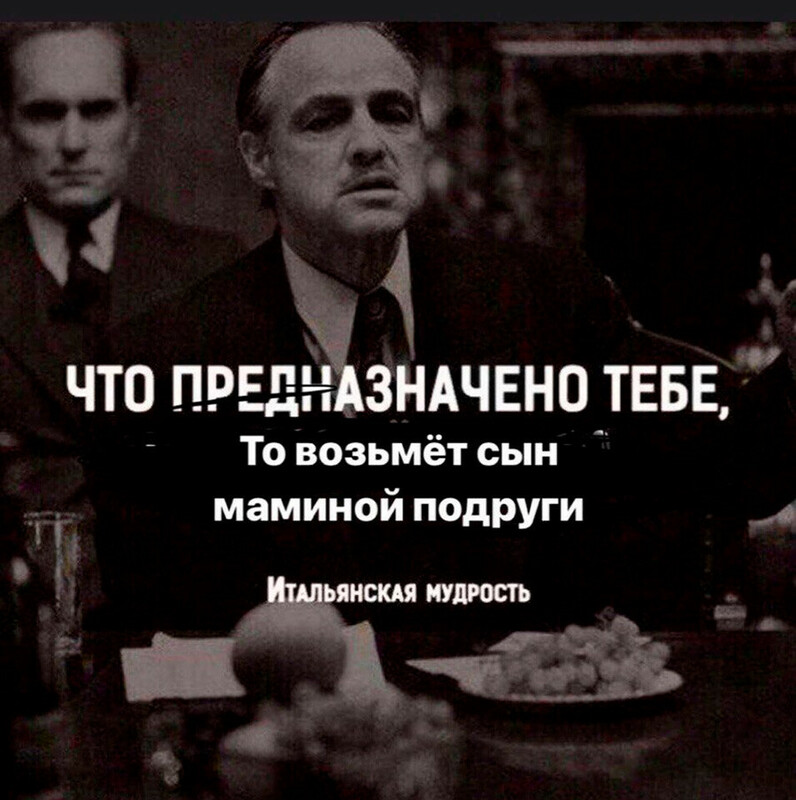 An empty wallet, and 'the son of your mother’s friend': What do Russians poke fun at? Russians deal with problems with a smile, and since there are lots of them we smile a lot. Russians are often thought of as grim, never-smiling melancholics who are either on the verge of depression or are already depressed. Although Russians sometimes have good reason to be upset, we are much more optimistic folks than you might realize. 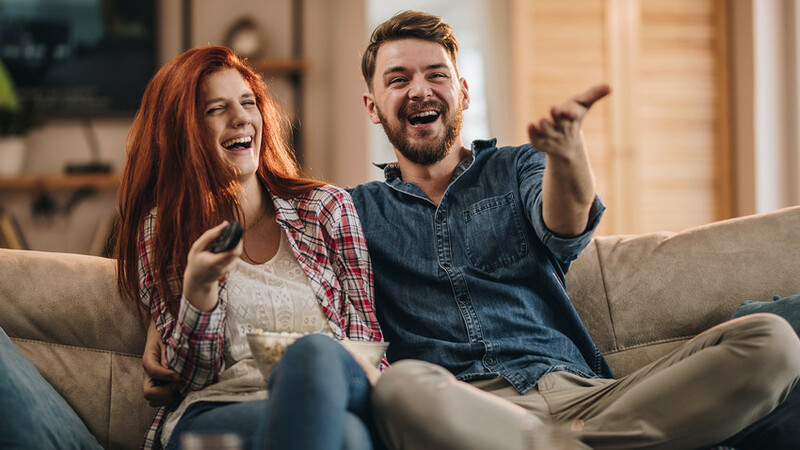 Generations of Russians have developed a unique method for fighting disappointments with humor, so don't be surprised if we laugh at the most unexpected and ridiculous things. 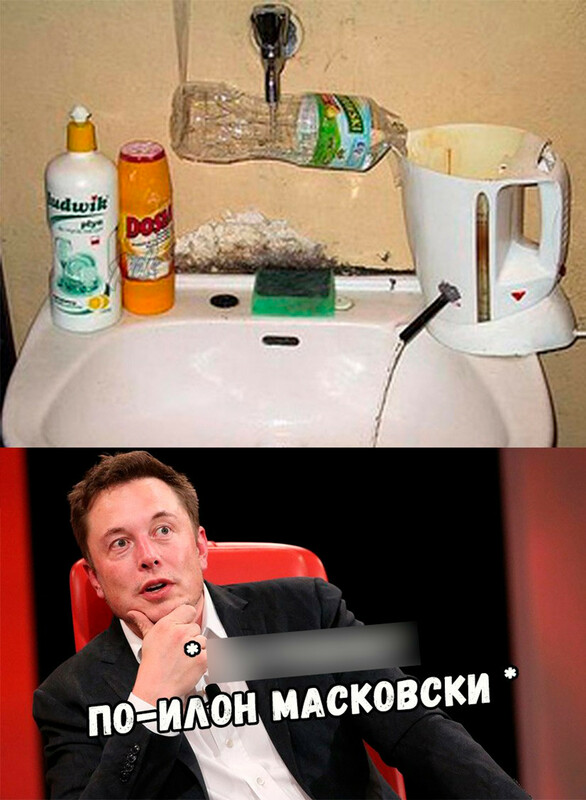 While Elon Musk launches Falcons into Earth’s orbit and dreams of the Hyperloop, Russians compete in engineering creativity to invent absolutely useless, yet mind-blowing devices. Many have even become an inexhaustible source of humor for upbeat Russians who just won’t accept America’s alleged engineering superiority. 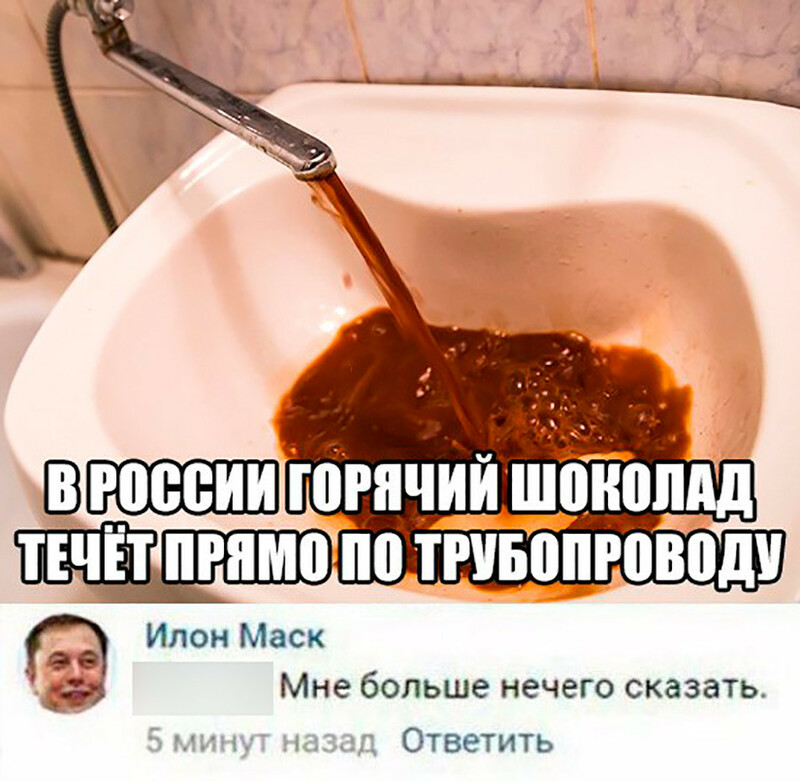 Elon Musk is amazed at how Russians fix pipes. 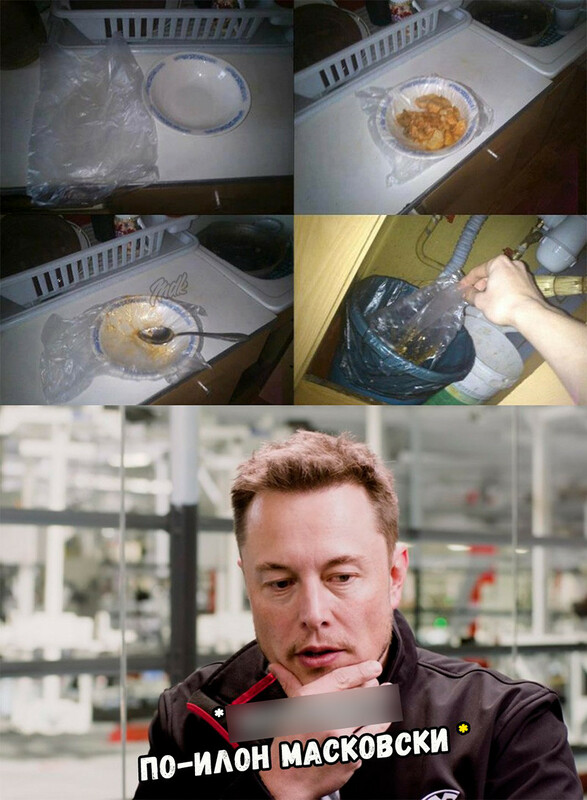 Elon is shocked by how Russians keep their dishes clean. 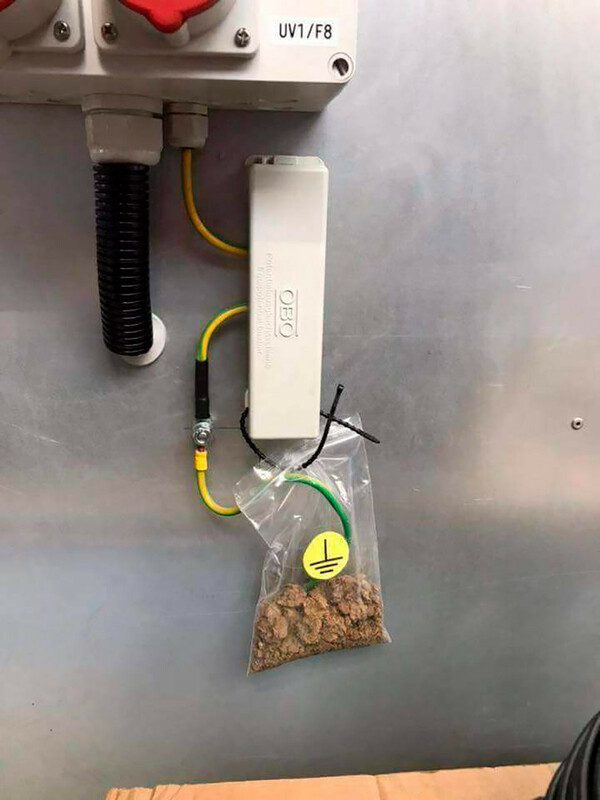 Only Russians could come up with this earth electrode. 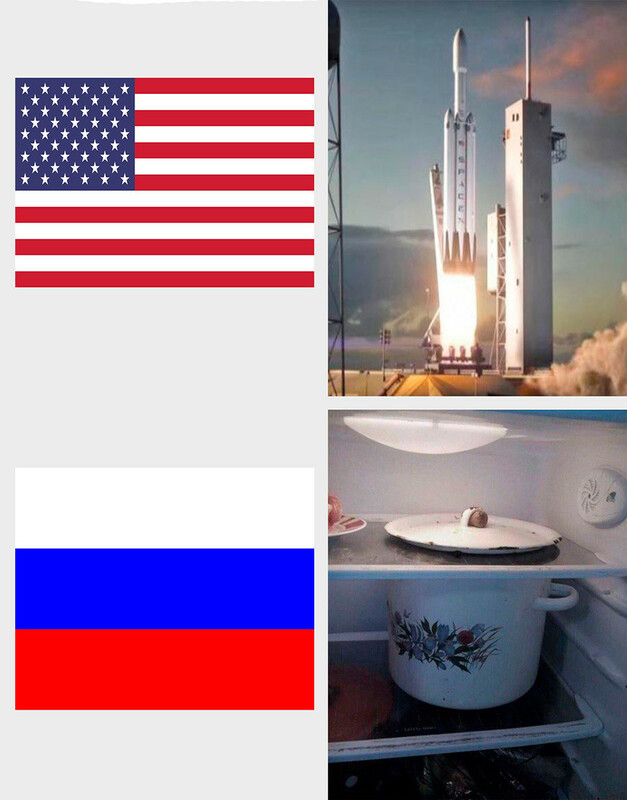 While Americans launch rockets into space, Russians figure out how to fit the impossible into a fridge's limited space. We also feed people bliny with a shovel. 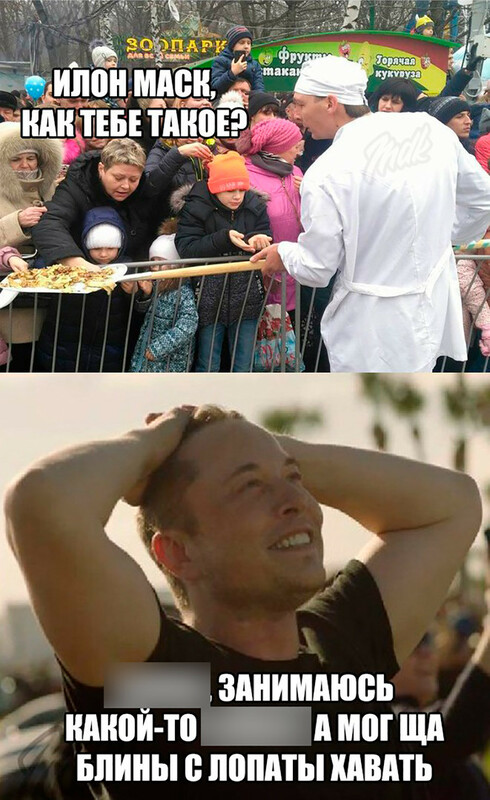 What can you say about this one, Elon? In Russia, we know how to deliver hot chocolate right to our homes via pipes. Do you have any comment, Elon? We make lots of money in Russia, like literally all the money in the world. But jeez, it’s so hard to survive until the next payday. 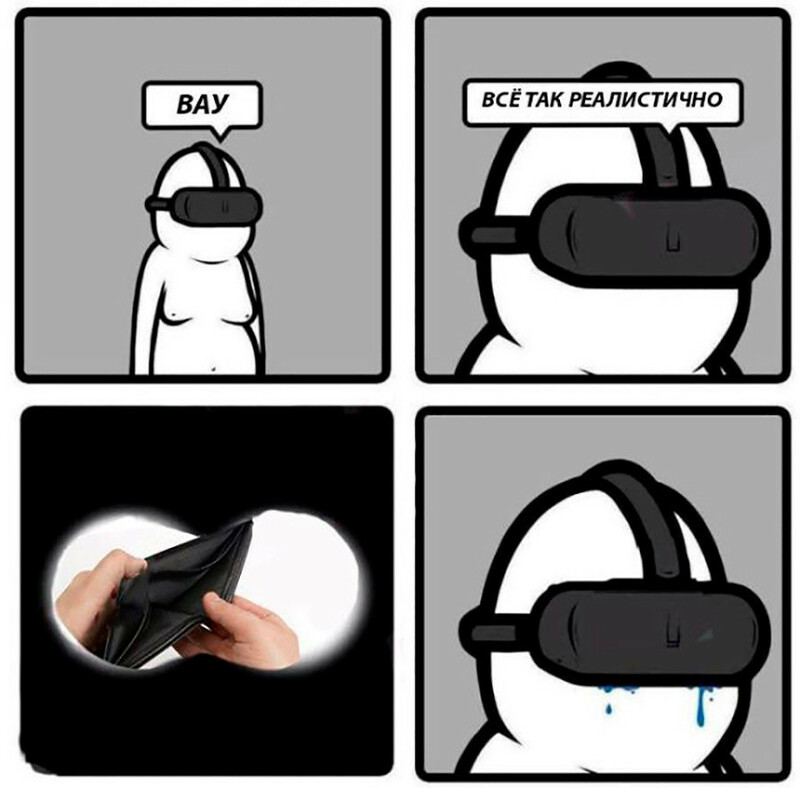 Every Russian knows the feeling: you empty your wallet on payday and then struggle the rest of the month. We try to think optimistically about it, though. 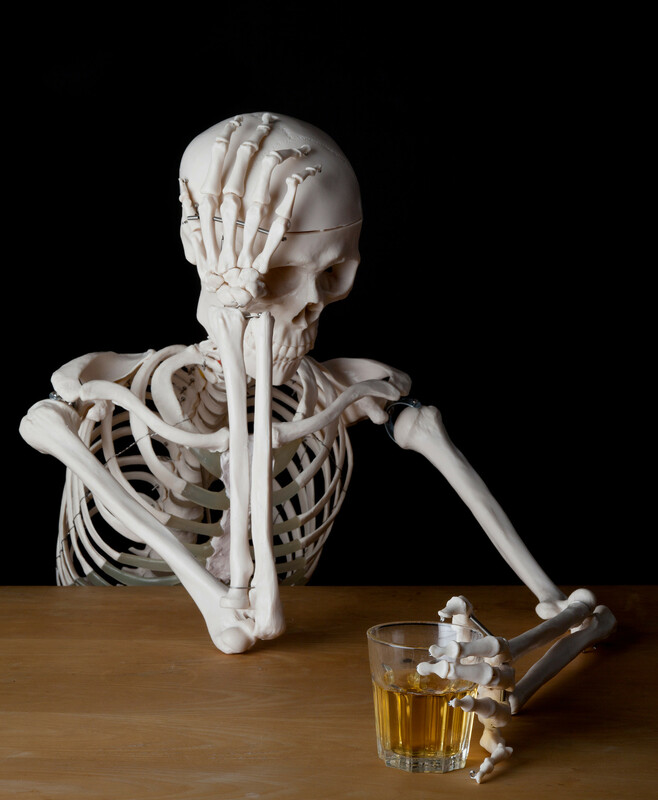 On payday a major portion of one's salary goes to pay debts, while the remainder goes for booze. A “How to survive on your salary” manual: Cross your fingers, and pray. Wow, this VR is so realistic: the image of your empty wallet appears, and you start crying. 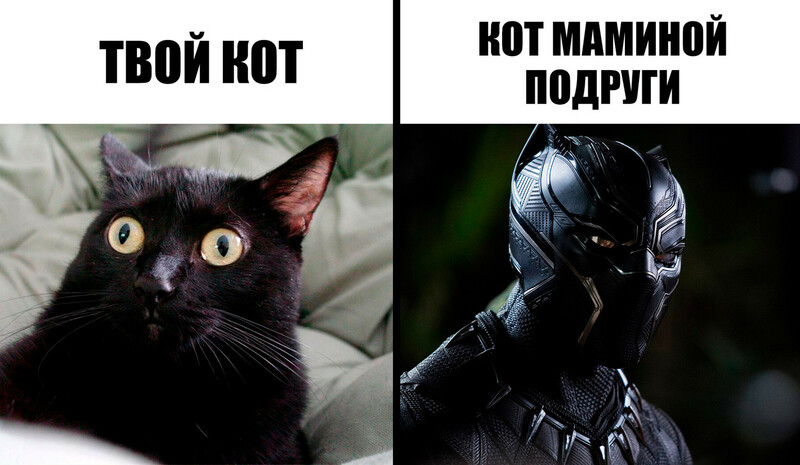 In modern Russia, 'the son of your mother’s friend' always outdoes you. You make 30 grand a year? Well, he is a millionaire. You rent an attic? He owns a mansion. There is no area where you can possibly beat 'the son of your mother’s friend.' Surrender. Resistance is futile. 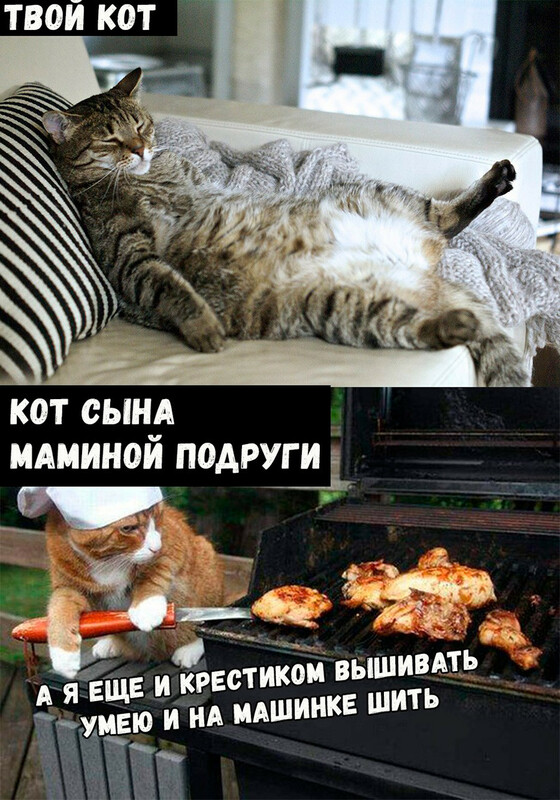 Even his cat is a hard-working beast, unlike yours. 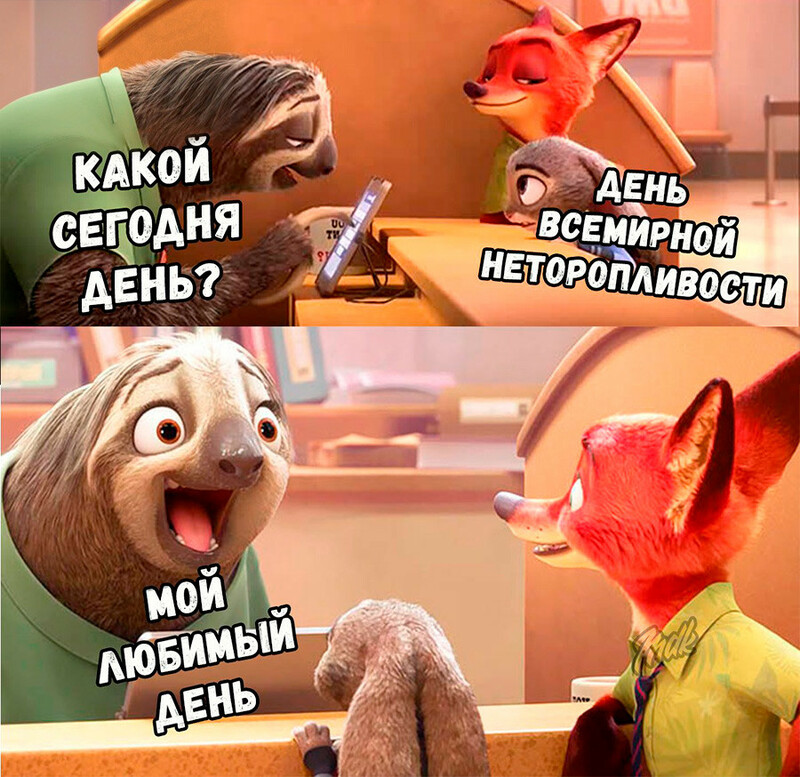 Russian Post is not slow; it’s just the entrance to oblivion. Leave hope all ye who bring your letters and parcels here. In the best-case scenario, a recipient will get it on his deathbed. 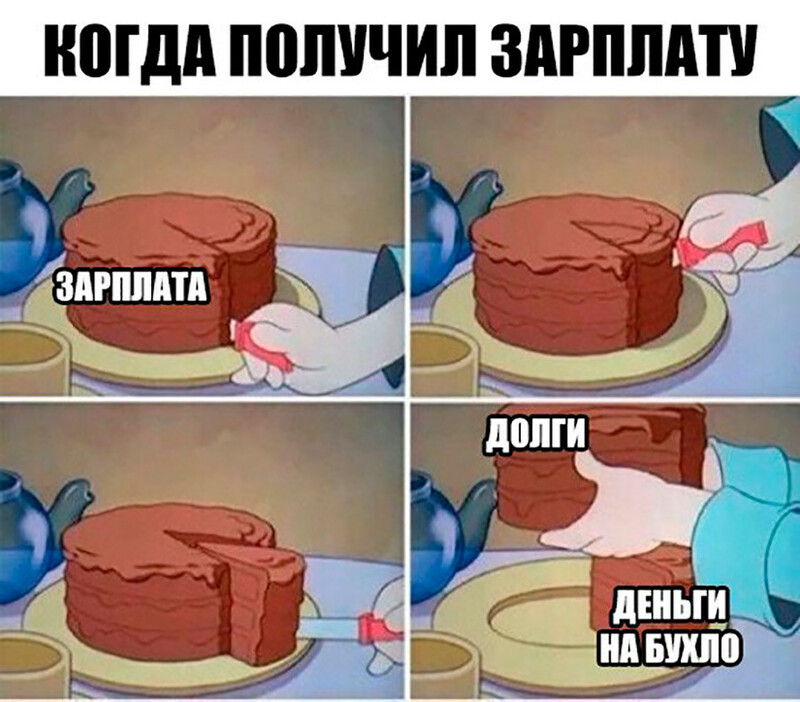 Yet Russians love the Russian Post dearly: it’s a source of good jokes. 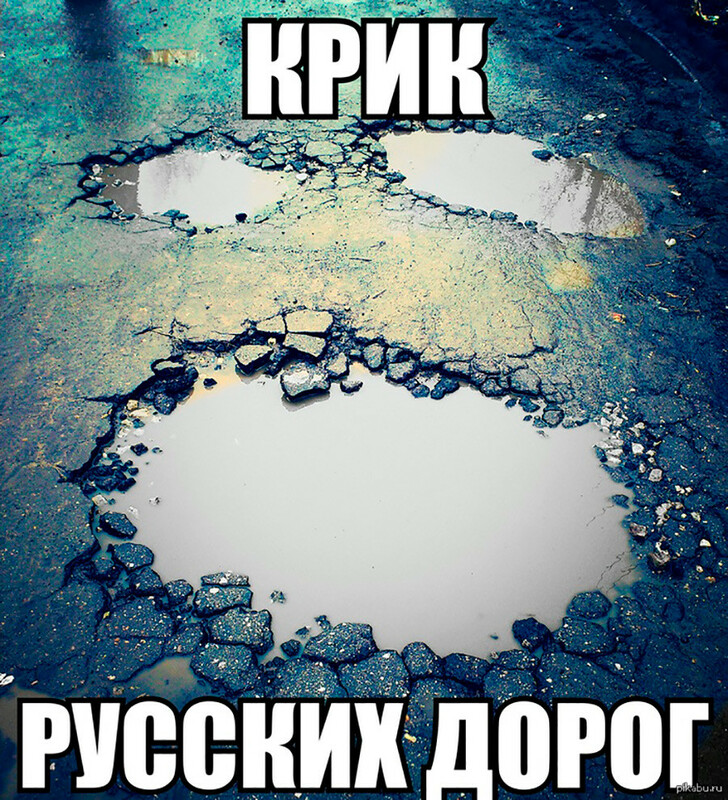 Everyone is amazed at how good the roads are in Moscow and other cities that tourists visit. But people say there are faraway places (nobody has ever seen them with their own eyes) where roads are… not as good. 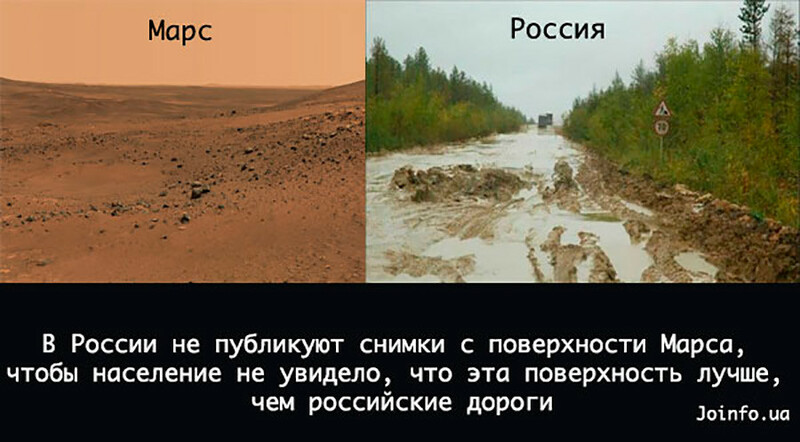 Russians have never seen Mars’s surface because they are afraid to find out if it is better than Russian roads. There are a great many things that make us laugh out loud, but there are even more things that make Russians misty-eyed. Check them out here.